Today we reach C as we seek to Build a Bettter Blog. ….and that is in line with your blog. For example, there would be no point in me writing a series of favorite recipes. Visitors to my blog do not come looking for those. It doesn’t matter how good then recipes may be, they don’t fit the reason why people come to my site. Why do people come to my site? What will interest them? You have probably heard this a gazillion times, but it is true. Whether you are writing a business blog, a hobby blog, or a family blog, if your content isn’t interesting or relevant then no one is going to read it. If you pick up a book that you’ve spent money on, you’re more likely to give it another try, but if it’s a blog post and it’s boring, it’s likely you won’t see the visitor again. ….to your top-ranking posts. Is there a word or theme that attracts attention? Is there a need you can respond to over a number of posts?If a reader contacts you with a question, see if there’s a way you can answer it on your blog, leaving out any form of identification of course.I am a cancer survivor, and I have a website and blog devoted to those dealing with cancer. Over the space of a few days, I received three emails from women who were battling with hair loss due to chemotherapy. I wrote a short series on coping with hair loss, and posted it to my website, then wrote each of them a short personal note, giving them the URL to the posts. People love to feel they are in contact with you as a person. Add family or personal photographs. Imagine you’re wanting to post a photograph of a green door. (Why? I don’t know. Just maybe you want to!) How much more interesting the image will be if you are standing in front of it. Perhaps you want to share a moment that happened in your family, or a scene from your recent holiday. Avoid writing the facts in a dreary fashion. Bring it to life. It can still be true, even though it’s embellished with touches of smell, sound and action. If you’re writing a book you need this touch, and if you’re blogging for the family, you want to catch them up in the scene. Blogs should not be boring. If you’re writing for your family this will be especially appreciated, but you can do this with almost any theme. My granddaughter was three. She and I were sitting at the dining room table playing with rubber stamps on paper when her baby brother awoke from his nap. I told her to carry on stamping and not move from the table until I returned. When I walked back into the room, two minutes later, she was clambering back onto her seat, her eyes wide and cheeks flushed with excitement. Anxious to reassure me she blurted out, “I’s didn’t stamp under da table!” Sure enough, the under surface of the table was now decorated with several pretty red hearts. What does that have to do with building a better blog? Absolutely nothing, unless your blog is about family life. But you read it, didn’t you? A good story will always attract attention. Add quotes to your post. People enjoy reading what other people think about the topic. Always be sure to give credit to the person who originally made the statement. Try typing into a search engine “quote” and any topic you want to write on. You’ll be amazed. e.g. “My blog is a collection of answers people don’t want to hear to questions they didn’t ask.” ― Sebastyne Young (from Goodreads on the topic of blogging). If you’re a published author, use quotes from your own books occasionally. Encourage and inspire your reader. Keep our eyes open and you’ll be amazed at the life lessons there are in everyday situations. For example, I once sat on a bench watching a tiny ant carrying a load about three times his size. He clearly knew exactly where he was heading, but then the wind blew. The little ant somersaulted backwards. He got to his feet, hauled the load onto his back, and set off again in the same direction. I wrote a devotional message on that incident as well as a blog post. The little ant who had a goal and was not going to be deterred from reaching it. Start a computer file for creative ideas. Don’t trust your memory. You think you’ll remember, but be honest! Will you? An excellent way to keep track of your ideas, save clippings, and keep your ideas together, is by using One Note, by Microsoft. Another resource that is highly recommended, although I personally don’t have experience with it, is Evernote.“From short lists to lengthy research … Evernote keeps you focused on moving those ideas from inspiration to completion” (from their website). Do you have more ideas on how to write creative content? 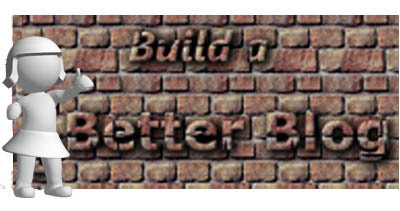 Build a Better Blog: Introduction to the series. Awareness Alert – be aware of your reader. Blog a Book – Tips on how to write a book through your blog. I plan to turn this into an eBook when I’m finished, so is there anything I haven’t covered under the various headings? When you read, please comment if you think of anything I should include. Thank you! These posts were originally posted as part of the 2017 A to Z Blogging Challenge. Because I’m re-posting them with updates, I have reverted the originals to draft. I apologize if this causes any problems with missing links, but all the posts WILL repeat – on an approximately weekly basis. I promise not to pass on your email address or to flood you with spam! Storytelling always works.This is what I realized too .Great content which your audience wants with a good story. Quite right, Amrita. We never grow out of wanting to hear stories! This is so helpful.. I liked the point about encourage and inspire your reader.. never thought about this.. Point is noted and I will implement it.. thank you..
Hi Madhavi. Thanks for the visit. I’m glad you found it helpful. Have a great weekend. Thanks for this, I am learning quite a lot! You are right when you say a good story will always attract attention (I had to laugh though, I can imagine the look on your grand daughter’s face as she tried to explain the stamps’ incident). Oh she was such a cutie! Still is, but don’t tell her I said so. She’s 24 now! I have loads of post ideas stored all over the place which I must get out and start doing something about. Thanks for the nudge, Shirley. These are all fabulous ideas Shirley – I’m working on a lot of them already but I know I could be adding a few more into the mix. The A to Z Challenge has certainly inspired me to look back at it later and see which topics resonated the most and maybe focus on those areas in the months ahead. Thanks for visiting Leanne. Yes, A to Z is a great opportunity to get to know other blogs and store up ideas to work on later. Thanks for the visit. Thank you Sue. I’ve found the file needs to be on the desktop of my computer or I can never find it when I need it! Excellent tips, Shirley. Some of them may seem obvious, but it’s things people often overlook! Thank you Claire. Good to have you visit. Thank you Alana. I have another website & blog geared for cancer, and I’ve written quite a bit about different vegetables and fruit, and I’ve given a number of different juice recipes, but I never thought of food recipes! Good one, thank you. I actually grabbed my pen and paper to take notes..This is so helpful….Thank youuuuu..waiting for letter D.
🙂 Thanks for your encouraging comment, Phaytea (or is it Faith?). I’m glad you’re finding these helpful. You are so right, everyone loves a good story. And we all need to be reminded of that! I do have one observation – people may not come to your blog for recipes. But, I also remember the struggles my friends with cancer had with eating and food, including loss of appetite and sores in the mouth. Perhaps a recipe tied to your personal experience with cancer (along with a personal story about food) might solve a problem for a reader.